You've seen the ads encouraging you to "Go RVing"...a picture of an RV parked in a scenic camping area...beside a campfire, among rocks that shout, "climb me," by a lake, at sunset, with not another camper in sight. Can it really be this good? Or is adopting the RV lifestyle more likely to see you parked in an RV "resort" close enough to hear your neighbor snoring? We decided we liked the ad-life better and went out to find it. And guess what! Not only does it exist but most scenic camping is much cheaper than the $35.00 to $40.00 per night that many RV campgrounds want...in fact in many cases the best is still free! Well, I guess that depends on what you think is "best". If a swimming pool is more appealing to you than a swimming hole or if you'd rather watch movie stars on TV than shooting stars in a black night sky, maybe an RV "resort" is more appealing to you than these photos of free camping finds in Utah, California and Texas. This free forest camping area isn't marked on the maps. 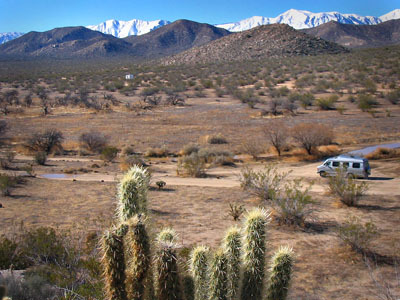 About 1/2 mile from a popular highway route, it has 4 or 5 campsites. of a major National Park. 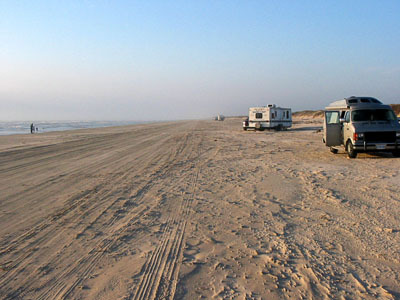 of free beach camping on the Texas Gulf Coast. Our road trips are more about "exploring new places" than staying in one location. We're always looking for new scenery, another park, a new trail to hike, or a new area to explore. So far, most of our adventures have been concentrated in Texas, Arizona, California, Utah, New Mexico, and Colorado. 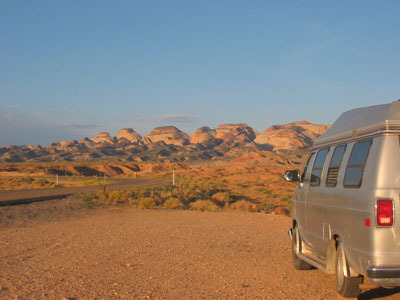 We've looked for and found the most amazing free scenic camping in all these states. Go to where the best natural scenery exists. 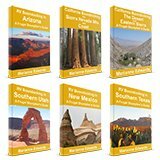 Go to National and State park, mountains, seashores, canyons, forests, lakes, deserts and grasslands. Remember that nature didn't draw the park boundaries and that some of the most scenic areas in the American southwest and Canadian north are not included in the parks. Public lands such as National Forests and Bureau of Land Management (BLM) lands often border the parks. Who owns public land? Are you a member of the public? Then YOU do!!! Why not camp on the land that has been set-aside for you through your tax dollars? Learn to identify and watch for small road signs that indicate you are entering public lands. Never drive by a National Forest office, BLM office, or area Visitor Center without stopping. While there, ask for free maps of the area, points of interest, directions, rules and road conditions. 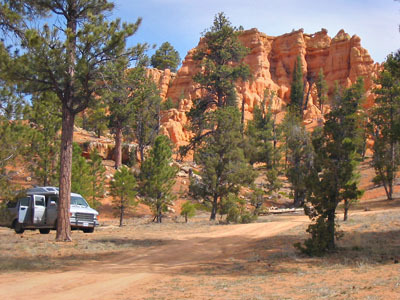 Most forests and BLM lands have inexpensive campgrounds with minimal facilities. However they also have free dispersed camping and this is usually where the best scenic view camping is found. Dispersed camping locations will not be marked on the maps. You need to ask. Also ask the staff where their personal favorite dispersed camping areas are. Be willing to drive a few miles on dirt roads. 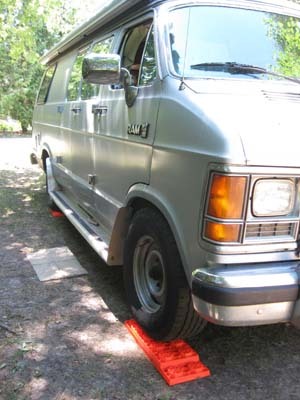 Be prepared for boondocking (dry camping). You will be limited somewhat by your vehicle. A small RV, truck camper, or even a car and tent will always give you more options than pulling or driving a larger unit. Camp in existing pre-used sites...look for fire rings or other evidence of usage. Since others before you also wanted the best scenic camping, the site you find will likely offer the best view as well as some degree of privacy. Count on staying longer than you intended. Why? Because your campsite has you feeling like you're the guy in the Go RVing ads. Be prepared. That amazing scenic location may not be quite level. We carry stacking levelers to make the site work. We're relentless shunpikers. We check out the back roads everywhere we go, and have discovered many wonderful out-of-the way scenic camping areas, with unrivaled views. And guess what! The price is always right. Specific details and directions to these and many other free scenic camping sites that we've discovered can be found in The Frugal Shunpiker's Guides. With every trip we take, we're thrilled to have discovered this style of RVing. Because of all the free and affordable camping available to us we can afford to explore this great continent on which we live. For this we are truly grateful. We want the same opportunity to exist for our children and grand children and are convinced that there are many things we can do to help keep free campsites free for future generations. 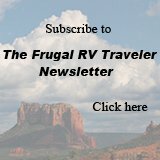 If you are an RVer who uses free public camping, please click on this link to join us in our efforts toward this goal.